Reading poetry is one of the most valuable lessons in high school English classes. There is so much to learn from each poem, and each analysis adds value to both the current poem students are studying and to future poems. Here are five ways students can begin to analyze poetry. The best way for students to begin analyzing poetry is for them to make a note of the things they notice. Making use of the margins of the poem, students can take notes on the structure of the poem and various poetic devices they find. Students can also take note of the parts that interest them or the various elements that contribute to the theme. Annotating a poem allows the student to understand further precisely what the poem is saying, and it also forces students to take a deeper, closer look at the poem. My Annotating Poetry Made Easy lesson provides students with a systematic was to annotate poetry to make it more accessible to students. 2. Identify recurring devices and images. 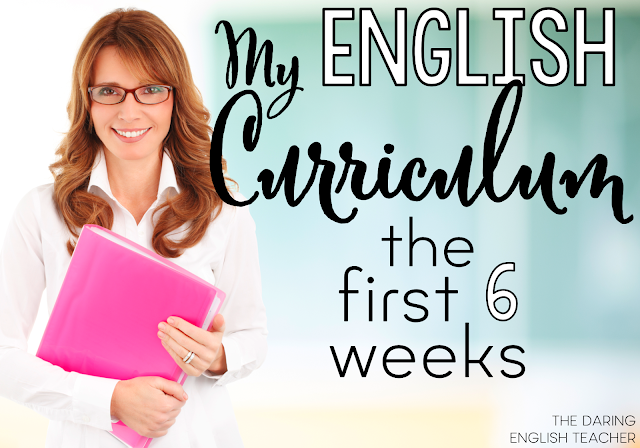 Identifying the details that are repeated throughout the poem gives students a better understanding of the poem, especially since poets tend to repeat certain elements for emphasis. Once they begin to notice the commonalities among the poem, the poem can be better analyzed. Identifying these recurring devices can be done through annotations in the margins or through other note-taking methods. My Poetry Analysis with Sticky Notes unit helps students identify various poetic devices. 3. Read the poem multiple times. Just as it is essential to question the poem, reading the poem multiple times allows the student to get a feel for the poem. On a second reading, the student may begin to notice the number of metaphors found in a stanza. On a third reading, the student may now understand the importance of these metaphors and how the comparisons enhance the vivid imagery that the poet paints. Taking the time to read a poem multiple times will allow a student the full experience and understanding of the poem. Questioning what is being read is a great way to analyze poetry. Students will always have questions about poems, such as what is this poem really about? What do these images represent? Why is this poem important? Poetry lends itself to questions and questions help to create and build the analysis of a poem. When students spend time asking themselves these questions, they are already analyzing the poem, without even realizing it and their analysis overall will be better for it. 5. Read the poem out loud. Poetry is meant to be read aloud. Having students read the poem out loud will allow them to hear the poem as it is intended to be heard, and this will enable them to analyze it even better. Hearing different rhythms and rhymes aloud will give them the chance to notice parts for their analysis. Reading it out loud makes students notice the little details that make this poem different than any other they have read. While students may not always appreciate poetry at the time of studying it, poetry analysis can prove to help their writing and literary careers. 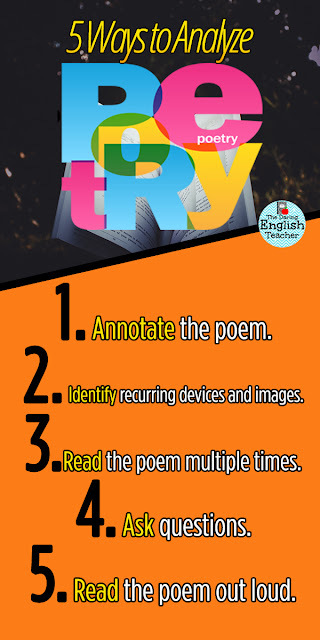 These methods of poetry analysis will help students in many valuable ways.